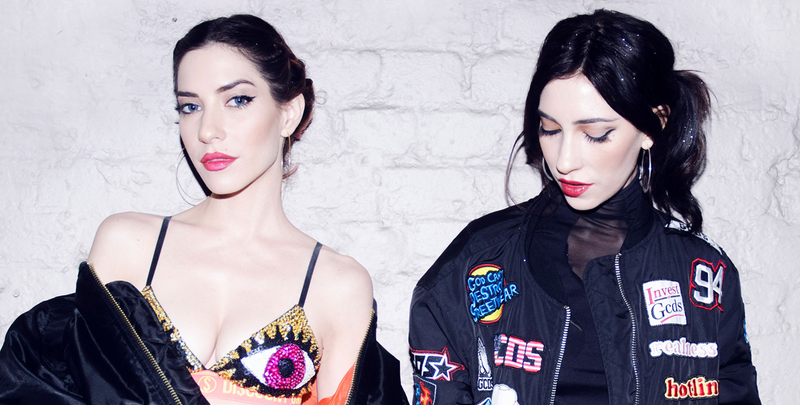 Everybody’s fave underdog sibling duo, The Veronicas, get personal on their second single of the year, the tropical flavored “On Your Side“. “Life isn’t pretty we all get a little wrecked sometimes / If God’s listening, people think you’re out of your mind“, the Australian sister act lament over a luscious blend of thumping tom-toms, glistening mallets and melancholic piano chords. Also, loving the lyric about the girls puking on a train after a wild night of drinking – they’re just like us! Much to the dismay of several diehard stans, “On Your Side” is a slight contrast to the pop-rock style the girls have become famous for. But when the results are this good, does it really matter? The girls will obviously be incorporating their signature sounds within their next album, so just let them have their fun and capture some new audiences with this extremely radio-friendly number. Great tune! Was not familiar with them, but like their sound. I continue to be astounded at the incredible volume of really good indie music out there. The music world really is your oyster.